Organic. No added salt. Create - discover and be Epicurious. Delicious in soups, casseroles and salads. 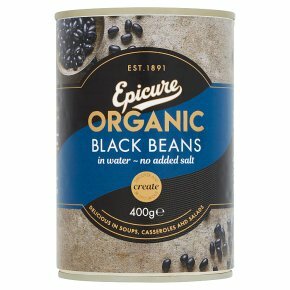 Our Organic Black Beans are carefully selected for their mild hearty flavour. Perfect in a vegetarian burger or spicy one-pot meal.